Hear what our clients have to say about their experience working with Monihan Realty! Just a few notes to express our sincere Thanks for a job well done. We were in your office seeking a rental for the week of September 12, and the business and attitude from you and your staff was exceptional and very friendly. We had been to a couple of other realtors in the area but the courtesy and attitude from you was well above and beyond expectations. Thank you, Josh, for helping to make our "girls" week fantastic! Thanks for working with the owner to get us Monday to Monday. You're the best! We thought everything was very well done and Glenn Wagner was great to have as our Realtor. I have always been treated well by Monihan. Thanks for everything. Chris Mirena is a true asset to Monihan Realty. Everyone I spoke with was extremely helpful. You have a great business. Thanks. Bill Dewees was great to work with! Very reliable. He always got back to me right away whenever I contacted him with a question. Rick Sloan was warm, friendly, informative and professional. He was very responsive to our needs. In the past we always used another agency. When we decided to rent this year we contacted them. They offered very little assistance. Matter of fact, we felt that their attitude was that they were doing us a favor. That is when we contacted Monihan. What a difference! Wow! You’re right on top of things, as usual. You’re the only agency I know that has managed to make everybody feel like ‘family’. You know, that Good Ole Ocean City friendly tone; and, that’s not easy to do these days. Great job! So to honor yawl, I thought of this catchy logo. MONIHAN MAKES MEMORIES and has for over 65 enjoyable years. NOW Let our Monihan family help you make yours! Thank you for giving us this rental. This is the first year we are doing business with Monihan and believe it will be a successful year for both of us. We really appreciate the fine pictures you have on the web page; it is great to see more than just four pictures. Chris, Thank you so very much. Please know we really appreciate all your hard work and dedication. We are really grateful. 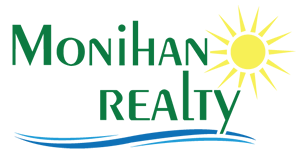 We will certainly use Monihan Realty in the future when returning to Ocean City and will strongly consider renting the same residence. Thanks again for helping provide a rewarding, memorable vacation for our family. 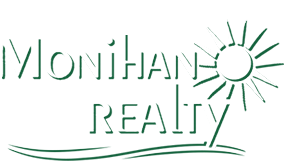 Monihan will definitely be our sole Realtor for our rentals- we are extremely pleased with the level of service we are receiving from your agency. Thanks again. We always appreciate the good work Monihan does for us- and enjoy working with you in particular! Our rental was fantastic! The entire family (14) really enjoyed themselves. The house was awesome and very spacious. Your agent, Tim McLaughlin, outdid himself with his total efforts in every respect from selection to renting and follow-up. The best agent I have ever dealt with and have dealt with many. He did Monihan Realty proud. When we come back we want Tim and Monihan Realty to take care of our family again!!! We look forward to coming down again this year. Thanks for the hospitality and urgency you and your crew provided us last year. Shannon, I have to say that you are the BEST shore Realtor I have ever had the pleasure to work with and we will definitely be contacting you again.